Our vision is to provide our patients with the most cutting-edge care in a compassionate and professional setting, which includes fat transfers in aesthetic procedures. Some patients prefer their own fat to synthetic dermal fillers. Dallas, TX board-certified otolaryngologist & head and neck surgeon Dr. Masoud Saman offers fat transfers and fat grafting to patients throughout the Dallas and Plano, TX area, as well as nearby communities. Dr. Saman is also the Medical Director of Head and Neck Oncological and Reconstructive Surgery at the Medical Center of Plano. The terms facial fat transfer, autologous fat transfer, and fat grafting refer to the process of obtaining fat from an unwanted area of your body, such as the abdomen or love handles, purifying that fat and injecting it into another area of volume loss in your face. Facial fat injections are commonly made in the nasolabial folds, cheeks, jawline, under the eyes, and temples to provide the appropriate volume needed to restore a youthful and rested look. We invite you to schedule a consultation at Saman ENT & Facial Plastic Surgery at your earliest convenience. The harvest procedure is technique sensitive, and meticulous surgical finesses are required to ensure that live fat cells are obtained for maximal take. Dr. Saman does not use a liposuction machine for fat harvest as the suction trauma can devitalize the fat cells. Instead, he uses specialized micro cannulas to manually and slowly suction the fat. The harvested fat is then centrifuged and the purified residual is prepared for injection. No more going back every three to nine months for fillers. Fat grafting is the placement of actual living fat cells from one part of your body into your face. There is about 20 - 50 percent resorption rate (which is the loss of fat due to the body not establishing a new blood supply to the cells after injection). The other 50 – 80 percent is there to stay put. This means that although some patients may require more than one fat grafting procedure, a majority are very pleased with their long-term results after the initial resorption has occurred. Synthetic fillers are quite safe but nothing can be safer than your own tissue. 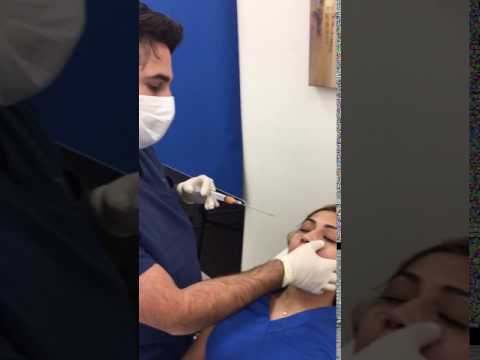 So if you are concerned about allergic reactions to fillers, or just do not feel right having synthetic materials injected into your face, fat grafting is an excellent option. Growth factors and stem cells already in adipocytes (fat cells) naturally enhance the skin's glow by improving skin texture thus rejuvenating the face. Most patients experience minimal soreness and swelling for a few days at the donor location. 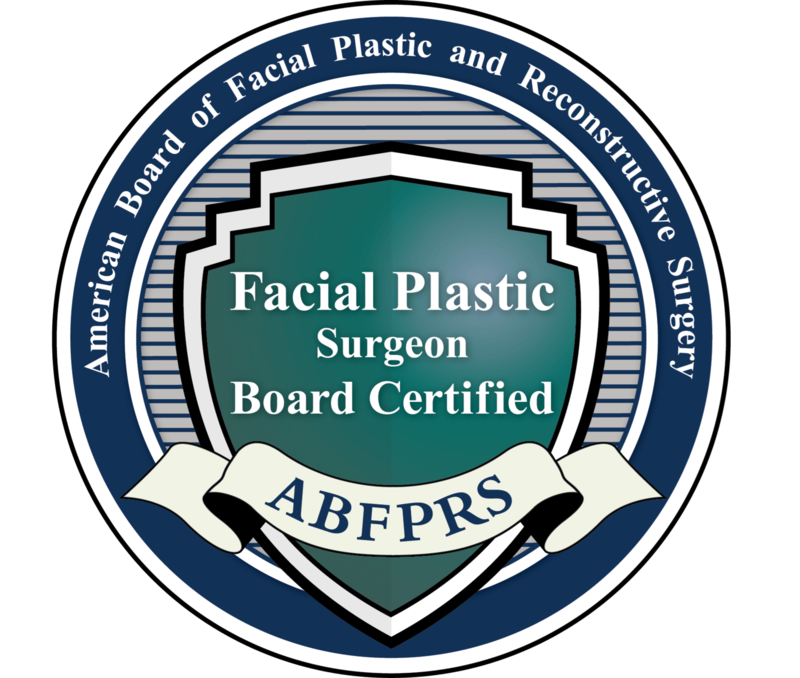 Also, we have patients who combine fat grafting with other procedures, such as a facelift or blepharoplasty, to be performed at the same time. At your consultation with Dr. Saman, your facial analysis will be performed, and all risks and benefits of the procedure will be discussed. In addition, you will have the opportunity to express your fears and questions with Dr. Saman at length. Before photos and computer simulation will be taken at the time of your preoperative appointment. Your skin will continue to age regardless of the procedures you have to prevent looking older, gaunt, or wrinkled. Dr. Saman is an experienced plastic surgeon who commonly performs fat transfers for his patients. A fat transfer used as a filler will most likely need to be repeated in the future as the fat is reabsorbed in the body. However, it is longer lasting than other aesthetic treatments and will not cause an allergic reaction. Dr. Saman will go into detail with you about how to best care for your treatment areas. He may also suggest that for the first few weeks after surgery that you do not sleep on or put any unnecessary pressure on the treated areas. Also, it is very important to keep the area clean and protected from the sun. There is little you can do about how fast your body reabsorbs the fat, but you do have control over how you care for your skin. An alternative to transferring fat in the face would be to have an injectable dermal filler (collagen, hyaluronic acid, PMMA, and more) or wrinkle relaxer (BOTOX) to rejuvenate the skin and ease age lines. Fillers are a great way to add volume to thin lips, gaunt cheeks, sagging skin and more when a fat transfer is not an option.